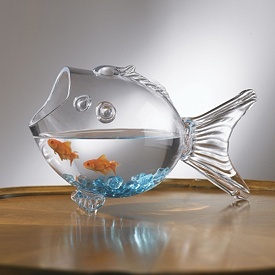 spirituality « Living Life in a Fish Bowl! I have had quite a few ‘just so happens moments’ lately. You know, those moments that make you stop and think – no way did that just happen but God orchestrated the whole thing. It just so happened that God _________. God is in the business of “just so happens.” He knows just exactly what we need, where we need it, and when. May we cultivate an awareness of His presence in our lives. As we do, we will become more and more aware of just how amazing it is to walk with God. I enjoy watching giraffes and I have a love for acronyms. Jesus is at the center of my life so it was only a matter of time before I put all three of them together. Growing in Righteousness has to do with how we act. Are we making morally right choices? Do we do what is right in the eyes of God? Are we growing in our ability to take a stand for what is right when those around us don’t? Having faith IN God in little things opens the way for having faith in Him for the bigger things. Growing in faith also has to do with being faithful TO God. Bugs are drawn to the light. If that light is a bug zapper, well, you know the end result. As Christians we are to let our light shine. People are drawn to the Christ they see in us. When they get close to us, do they find love in action or do we resemble more of a bug zapper? Are we quick to express judgment, disapproval, or irritation? Oh, I hope that is not what they find. We are to let our light shine so that others will see and glorify God. Just like a light bulb lights up a dark room, may our lives brightly shine forth the light of Christ. Something to think about – do you behave like a bug zapper or a light bulb? Let’s encourage, lift up, and point people to Christ! Recently, I was talking with a friend about the importance of answering the call to “Come away” and how easy it can be to ignore that call or put it off until a more convenient time. Our lives are full and our schedules are packed. Awhile back, I talked about making ordinary things extraordinary. Yet while all of these things are helpful, the call to me to “come away to a secluded place” is greater than just the ordinary places. Maybe that will mean getting up a half hour earlier. It could mean turning off the tv and going to a quiet place instead. It could mean clearing a couple hours of your day to just ‘be still’ or journal your thoughts about the magnificence of our God. I thought when I was no longer bi-vocational that time would just present itself. After all, I was not going to fill up my calendar. Right?? Dropping into bed at night dog tired would be a thing of the past. Now ‘quiet place’ is a part of my scheduling. When was the last time you freed your schedule to find a ‘quiet place’? i need to eat today! I enjoy a good meal. In fact, I enjoy a mediocre meal. Last night, after all of the activities of the previous 24 hours were fulfilled, I sat down with a 32 ounce fountain Mt. Dew. It was the best Mt. Dew. At the time, it certainly seemed like it was. However, what I ate and drank yesterday does not mean I do not want or need to eat and drink today. It is the same with God. Making right choices, walking in peace and joy with the Holy Spirit’s help is a daily thing. You could sit down to the best meal ever but if there is conflict and strife, heartache and despair, or drama and criticism I do not think you would possible enjoy that meal. If,on the other hand, you cast all your cares on Jesus, (1 Peter 5:7) – trusting Him to make a way, (Isaiah 43:19) — and take up your shield of faith (Ephesians 6:16) in the midst of whatever you face, then you can eat that meal in peace and joy. Have you talked with God today? So many times when I don’t have words to say what is in my heart, it comes out in a song. This is my song for today. Thank You. Thank You for Your peace and comfort that quiets our hearts and calms our fears. Thank You that You wrap us in Your loving arms and hold us close to You. Thank You that when our world looks dark, cold and scary You shine Your light, You illumine our path and You are right with us each moment. Open our eyes that we may see You and cultivate an awareness of Your presence. Thank You. When our boys were little, we were given the book “Really important stuff my kids have taught me” by Cynthia Lewis. I ran across it recently. It is filled with some funny stuff. Then I saw this page. There is nothing funny about fear. Are you thirsty for adventure? Serving God is an amazing adventure. Sometimes He asks us to step out in faith. He takes us out of our comfort zone. Sometimes we feel the stretch and a bit of fear tries to stop us. God is for us. We do not need to fear. (Psalm 118:6) Yet, there are times when we must face down our fears. We know the truth and yet, sometimes we just have to move forward and do it afraid. Like the first time I climbed a tree – or recently when a precious boy was wanting to be like the big kids and go down a slide. He was afraid. So, he reached for my hand and with eyes big, he started down. He did that a few more times, always grabbing my hand. Remember, you are never alone (Deut 3:8) and God has your hand. (Psalm 73:23) God’s got this and you can do it!! God is taking us on an adventure! today – how will you unwrap this gift? God is not far off. He is an ever-present help in trouble. (Psalm 46:1) God is powerful and active in our lives. Today is a gift! Unwrap it with the expectation that God is at work, because He is! I am not a fan of driving in rain. Lately I have had lots of practice. Last week there was such a downpour that I got off at the next exit just to get a break. The rain did let up only to start again after I got back on the highway. I don’t mind if it is a gentle rain, but when it seems the heavens open and the floods are coming — well, I prefer not to be driving. Life can be like that at times. It can seem to come at us fast and furious. We barely catch our breath and here comes more. Once again, I am reminded that my attitude plays a huge role in how I handle the rain storms and the storms of life. So, when you feel life coming at you full speed ahead — look at your attitude – it may need adjusting. We can learn to dance in the rain. We can choose to focus on the good. God is good! And we can remember peace is available through Jesus. Peace and joy go hand in hand. Joy is peace dancing and Peace is joy resting! We can use ordinary everyday things for a greater purpose. Whatever you do………….. most of that will involve ordinary things. Driving to work is a wonderful opportunity to talk with God about the day, the issues you are facing, and about the people you will come in contact with that day. An ordinary task that used to wear me out was working in my kitchen. Then I discovered the difference popping in a teaching CD makes. (I listen to Joyce Meyer) The kitchen is no longer an issue. Taking an ordinary thing but making it extraordinary. Win win!! Stopping for a red light becomes a moment of solitude for me now. When I find myself stopped I am reminded that red means Stop. Yellow means Breathe (actually take a deep breath) Green means Believe (redirect my thoughts to a promise from God.) It is a wonderful way to remember that God is greater and He is already working on whatever it is I am facing. Going for walks is another ordinary task that can easily become a prayer walk. It is amazing how your neighborhood changes when you begin to pray for your neighbors. What ordinary things do you turn into extraordinary?